This no-collar pullover-type shirt has been made with a smooth and high-grade wool fabric. With no front pockets the simple design features a unique drapey look. Enjoy not only the classic style of the wool shirt, but the modern design that can be paired with a wide range of outfits. Don’t miss the details of the hem gussets and two-tone shell buttons. 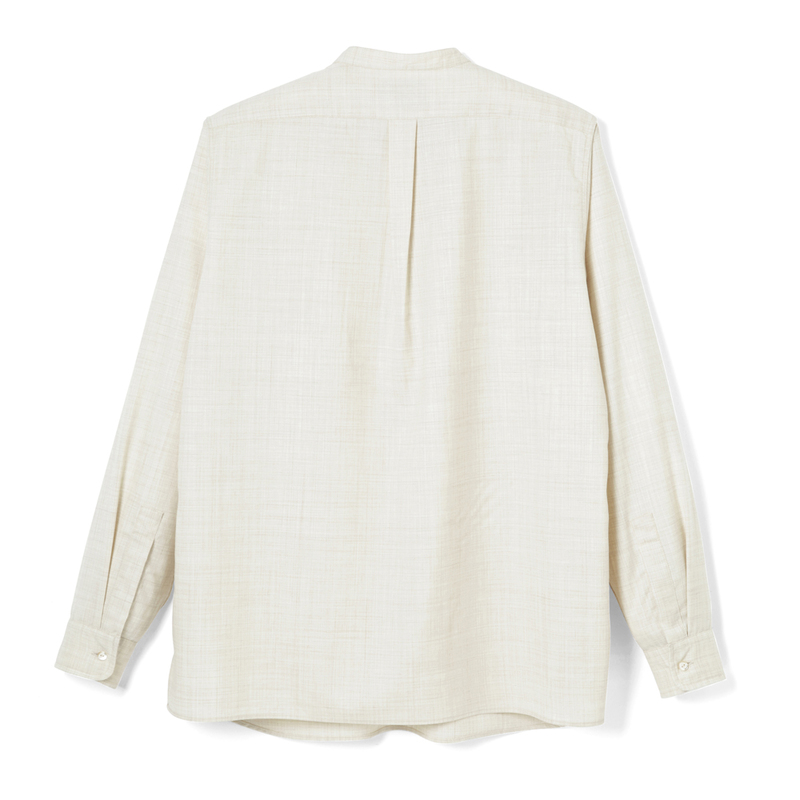 A lightweight and smooth 100% wool fabric has been used for this shirt. 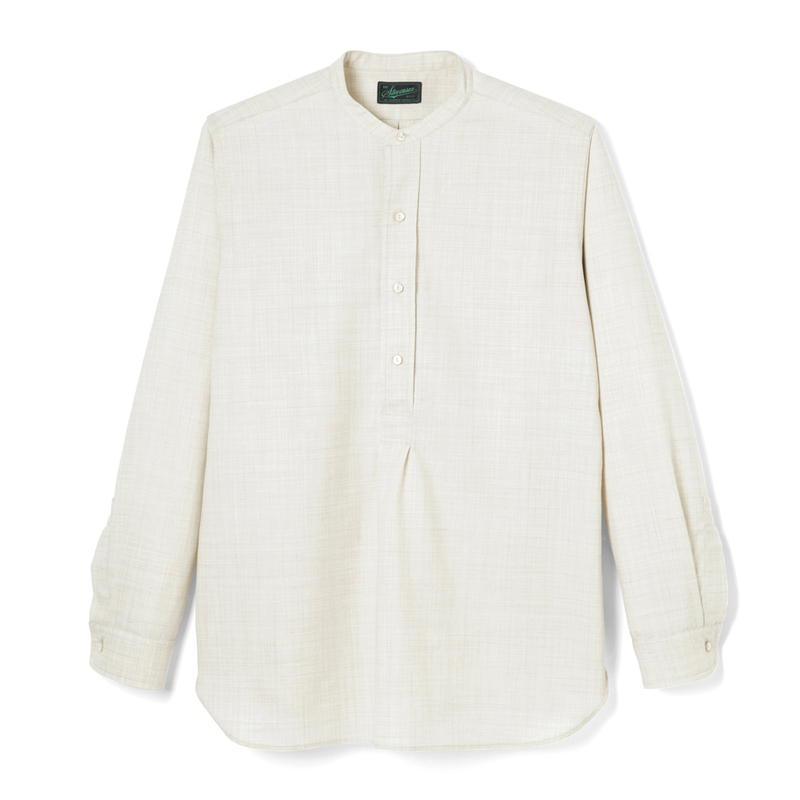 It can be layered like a cotton shirt while it possesses the heat retaining properties of wool making it stylish and versatile.